Before we dig into this week's music news and views, I need set the record straight on a few things regarding last week's cover story on 40 years of Nectar's. Perhaps inevitably, given the scope and size of the piece, and the fact that I was working with sources who were calling on quite old and possibly drunken recollections, there were a few gaffes. The first is that I referred to Blues for Breakfast bandleader Charlie Frazier as a "beast of a guitarist." Well, Mr. Charlie is indeed a beast, but on harmonica, not guitar. The second is that I got my Bradens mixed up. I quoted Braden Lalancette of Squimley & the Woolens, who just wrapped up a residency at the club. The problem was, I referred to him as Braden Winslow, who is in Binger, not Squimley. On the plus side, Winslow actually did sit in with Squimley during the residency. So that counts for something, right? On second thought, no. No, it doesn't. Another error was that Damon Brink sold his share in Nectar's in 2009, not 2007, as stated in the piece. Those errors are regrettable, but they are the kinds of slips that sometimes happen even after careful revisions, read-throughs, edits and nitpicky fact-checking. However, it seems my story ignited a decades-old Burlington debate around which there are some passionate opinions: Nectar? Or Nector? If you've been around Burlington long enough, there's a good chance you've seen Nectar Rorris' name spelled both ways. On their 1992 record, A Picture of Nectar, which bears Rorris' visage on the cover, Phish (obviously) spelled it with an A. However, in the Wikipedia entry for that album, Rorris is referred to as Nector. I know, I know. Consider the source, right? Well, on the history page of the website for the bar that (maybe?) bears his name, he's also referred to as Nector. He's been referred to as Nector in numerous articles over the years, locally and nationally, from VPR to jambands.com. Prior to writing the article I was advised by Chris Walsh, who purchased the club from "Nectar" in 2002, that Nector is how Rorris himself prefers it. And Walsh was adamant, citing years of documents with the latter spelling. Since that story ran, I've heard from numerous people on both sides of the debate. Anne Rothwell, the original owner of Club Metronome, was just as adamant that it was spelled with an A, citing her own lease agreements with Rorris. So which is it? Earlier this week, I called Rorris to find out once and for all. "It's short for Nectarios," he said. "So it's spelled with an A." Not quite. As it turns out, Nectar's was, in fact, originally named Nector's. 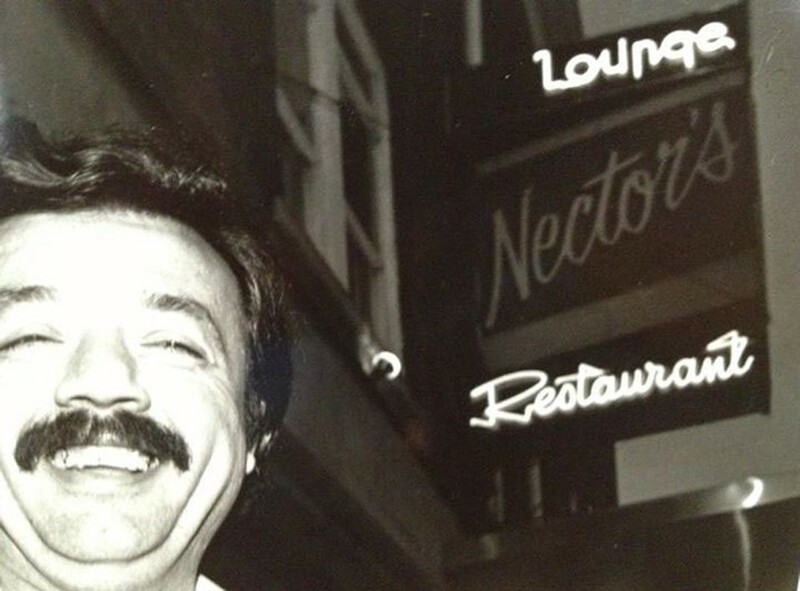 When the club opened in 1975, it was spelled Nector's Restaurant. That's according to the building's listing on the National Register of Historic Places. Rorris sold the business in 1983, and the establishment became a restaurant called McHats. But Rorris bought back the restaurant and reopened it as Nectar's in 1984, which is when the current spinning neon sign went in. The picture at left shows the original sign, with the 1975 spelling. So why did Rorris open a business with a name close to, but slightly different than, his own? On that, Rorris is less forthcoming than how he prefers his name to be spelled. He vaguely referred to legal issues at the time of the transactions in the 1980s. Rothwell, who worked at Nectar's in the 1980s, recalls a noncompete clause when he sold. But Rorris declined to speak on that subject, fearing any inadvertent legal entanglements that might be lingering 30-plus years later. He probably doesn't need to worry about that, since the name Nectar's is federally trademarked. But you can't blame the guy for being cautious. While the reason Rorris originally opened his joint as Nector's instead of Nectar's might remain unanswered, what is no longer a mystery is how the man's name is really spelled. So let the record show: It's Nectar. Not Nector. My apologies for the mistake, which could have been avoided had I simply asked Rorris from the outset. Now, if you'll excuse me, I'm going to have several beers at Finnigan's Pub and ask why it's not spelled Finnegan's. Congrats to the Starline Rhythm Boys! 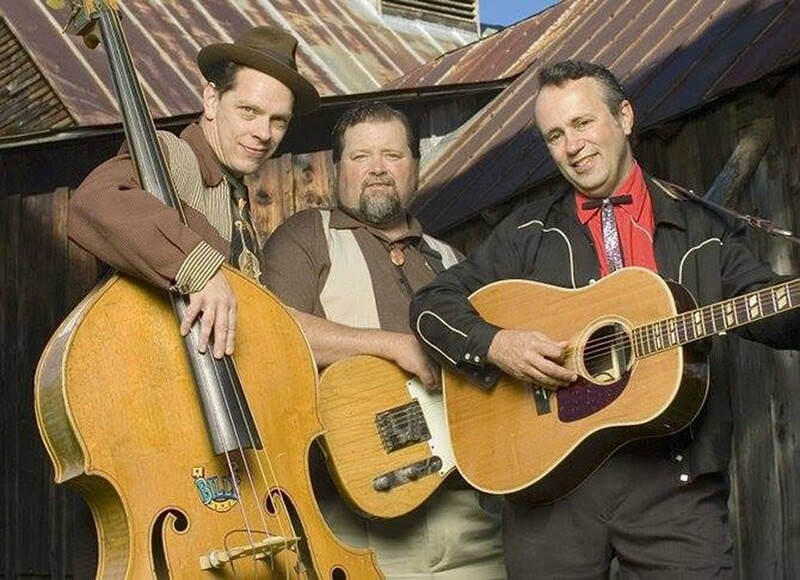 The long-running local rockabilly band was nominated for a 2016 Ameripolitan Music Award in the Honky Tonk Group category. Ameripolitan is a relatively new organization based in Austin, Texas, dedicated to promoting and preserving "real" country music. The 2016 awards will be the third year these AMAs have been handed down. Ameripolitan is also the name of a new hybrid genre, seemingly of the organization's own creation, crossing Americana with countrypolitan. On the website it's described as "a new music genre with prominent roots influence. It is broken into four related subcategories: Honky Tonk, Western Swing, Rockabilly and Outlaw... Musical and lyrical creativity is critical, but to be considered Ameripolitan music, it must retain some of these traditional elements as well." Creative and traditional sure sounds like SRB to me. But they'll need your help to win against some strong competition — including their Cow Island Music label mates and Vermont expats JP Harris and the Tough Choices. Visit ameripolitan.com to cast your vote. Happy trails to Hot Neon Magic! After eight years and more than 200 shows, the 1980s-loving New Wave party band is calling it quits. They'll play their final show on Saturday, December 5, at Positive Pie in Montpelier. Welcome back, the Wee Folkestra! After parting ways a few years back, the local all-star indie-folk collective is reuniting for a gig at the Skinny Pancake in Burlington on Friday, December 4. 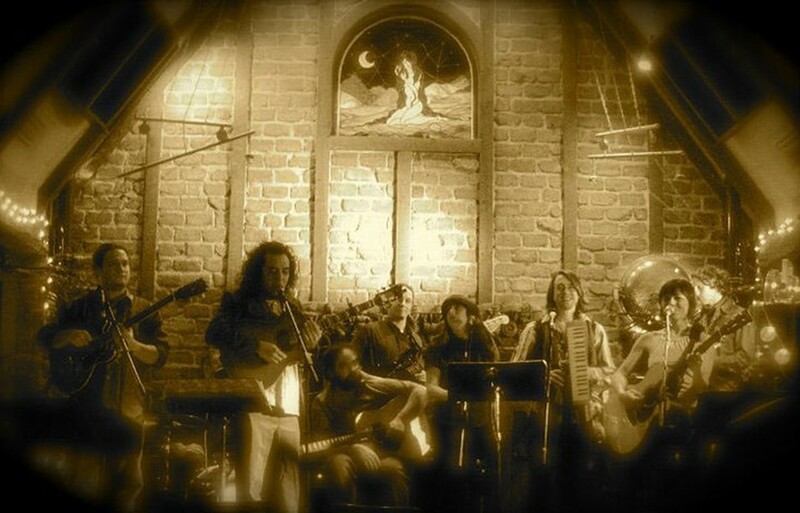 If you're unfamiliar, the WF are a nine-piece ensemble featuring a slew of talented local songwriters and players. These include Joe Adler, Samara Larrk, Aya Inoue and her husband, Erik Segalstad, Matt Harpster, Matt Deluca, Eric Daniels, Greg Alexander and saw player Johnnie Day Durand. Nice to have you back, guys and gals. It's also nice to have an open mic at Radio Bean again. Or at least something like it. For years, the Monday Bean open mic was one of Burlington's most active musical petri dishes. But eventually, it became kind of "a thing" and grew to a point where it no longer really served it original purpose: fostering a spirit of collaboration, experimentation and encouragement. Raise your hand if you ever signed up for a slot, then left the coffee shop until it was time for your eight minutes ... Oh, right. Like it was just me? Psshh. Anyway, this Sunday, Cricket Blue's Laura Heaberlin will host the second edition of Songwriter Sessions at the Bean. The idea is similar to an open mic, in that performers sign up to play and test-drive new stuff. It differs in that six chairs will be onstage, one for the performer and five for the next people on deck to play. That means, if you're gonna play, you have to stick around and support everyone else. Think of it as a songwriters-in-the-round for those looking to get their feet wet. Last but not least, 'tis the season for local holiday spectaculars! Longtime readers know I love me a good holiday rock show. And this year the slate kicks off with the fifth annual Jingle Jam at Moog's Place in Morrisville on Saturday, December 5. The show is a benefit for the United Way of Lamoille County and will feature appearances by — as always, read this next bit in your best Don Pardo voice — Dead Sessions, John Lackard, Tim Brick, Blue Fox, Seth Yacovone, Smokin' Js, Coquette, Ben Slotnick, Gary Wade, Guano Loco and many, many more!